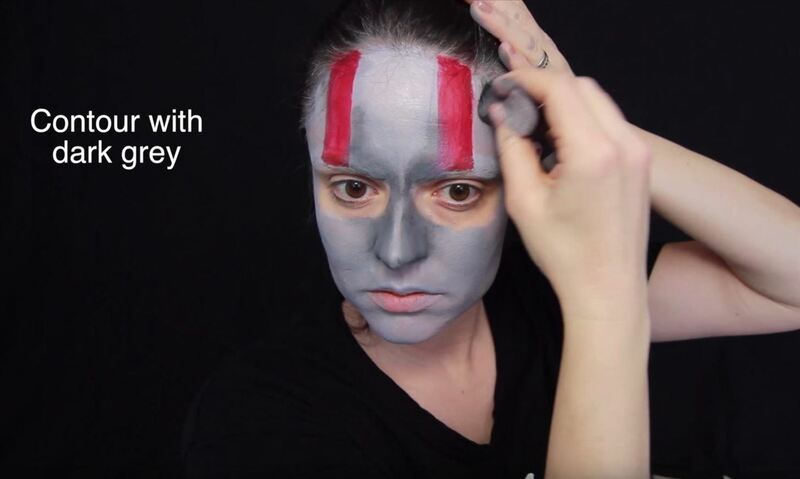 If you don't have the time or patience to build a complete Ant-Man suit from scratch, there's another way to make a Ant-Man costume for Halloween. 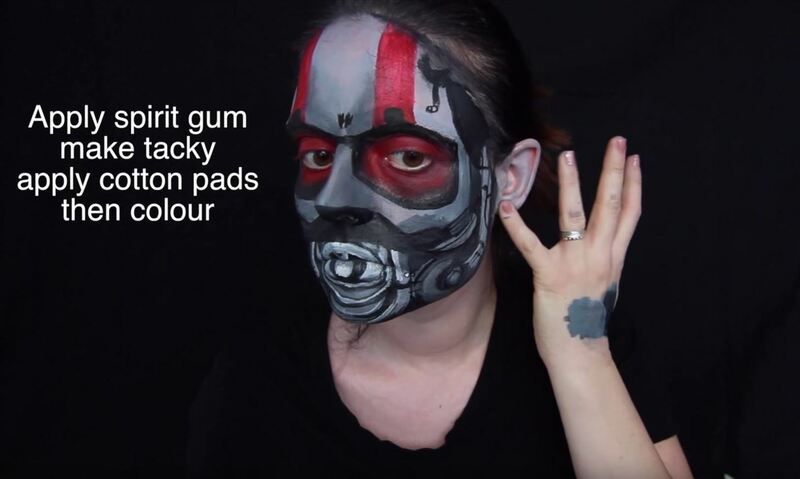 If you're more skilled with brushes and makeup rather than drills and cardboard, this is the Halloween DIY for you—especially if you're a fan of the Marvel universe. 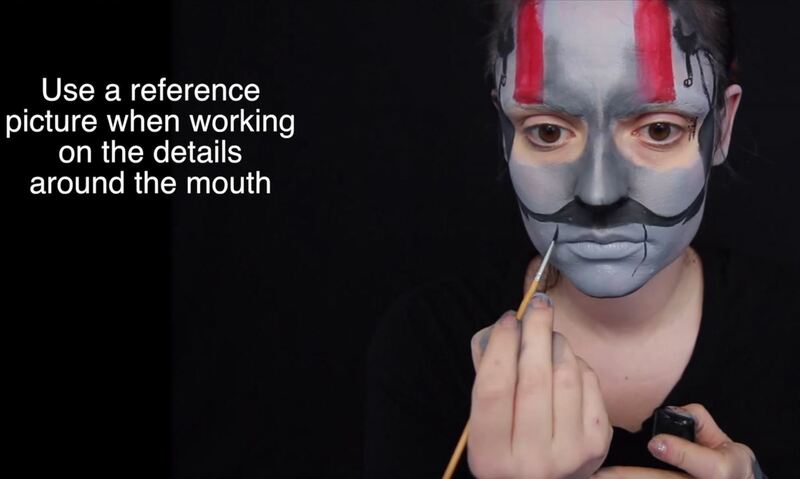 YouTube user and makeup professional SmashinBeauty offers a step-by-step tutorial on recreating Ant-Man's face mask with nothing more than shadowing, contouring, and coloring. 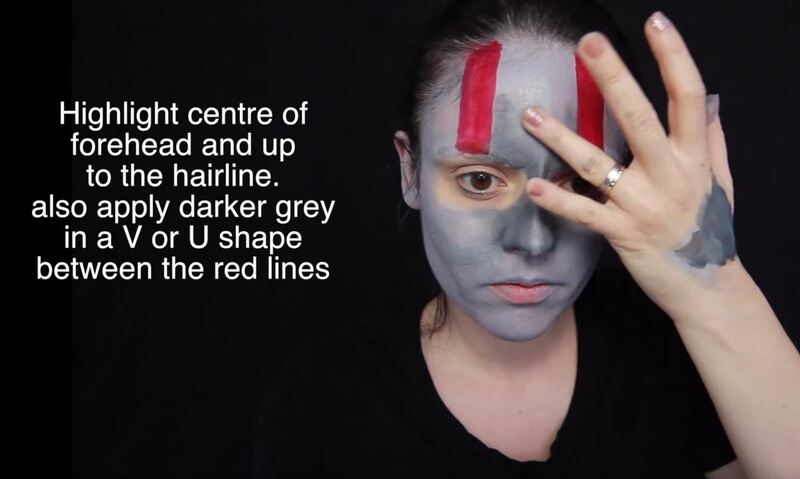 Begin by covering your entire face in grey face paint or makeup. 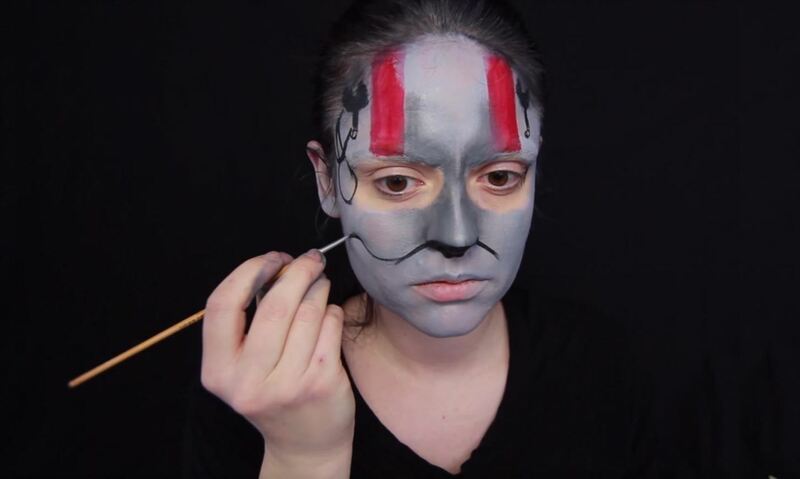 Leave just two strips—the places for the red stripes of Ant-Man's helmets—clear of the paint for later. 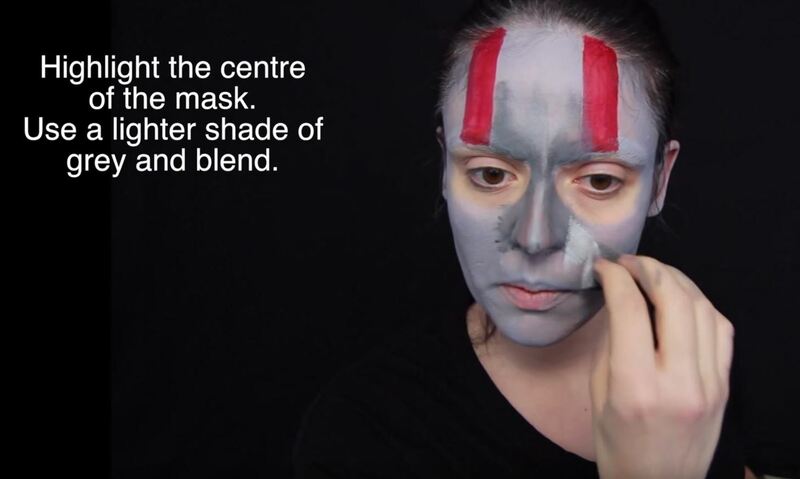 Apply a dark red face paint in two stripes, one on either side of the forehead. 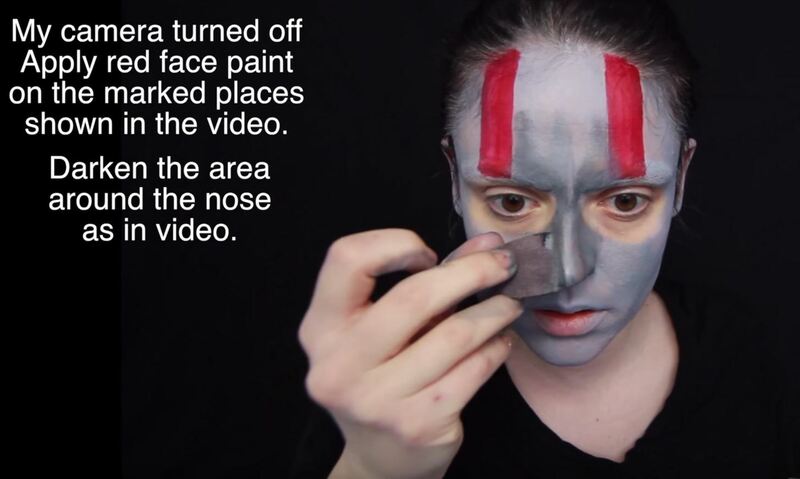 Then, begin darkening the area around your nose with an even deeper, darker shade of grey face paint. 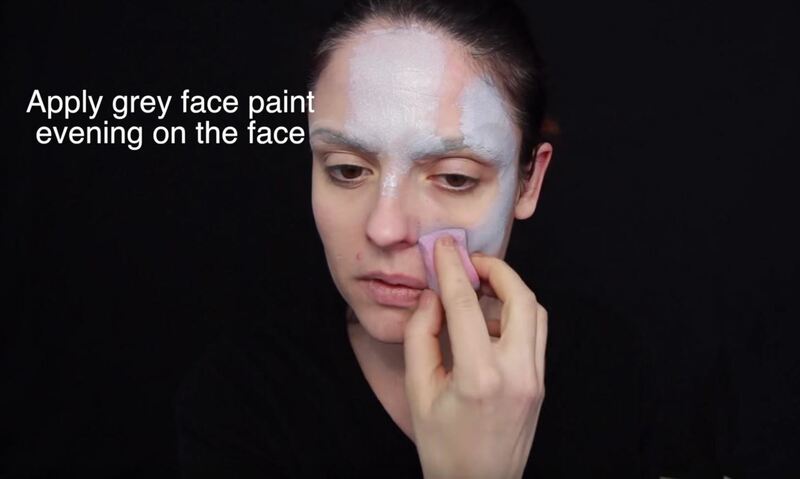 The middle of the mask needs highlighting, so apply a lighter shade around the base of the nose. 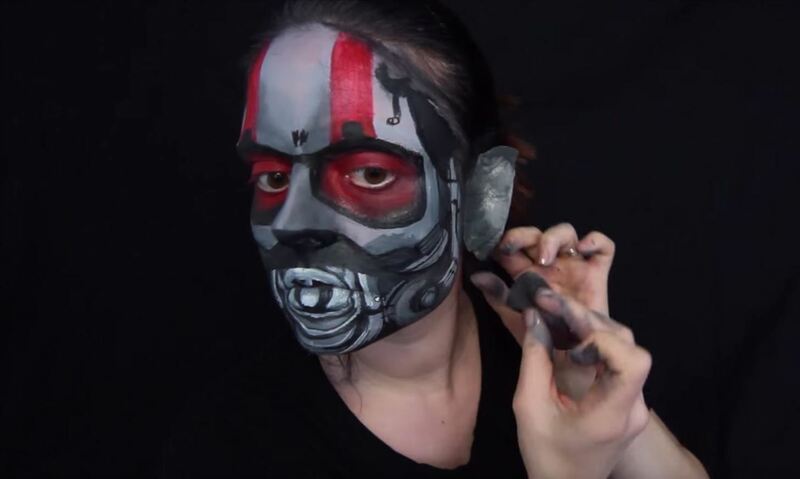 Basing your next movements and decorations on an image of the Ant-Man helmet, apply (with black face paint) the intricate details of the mask. 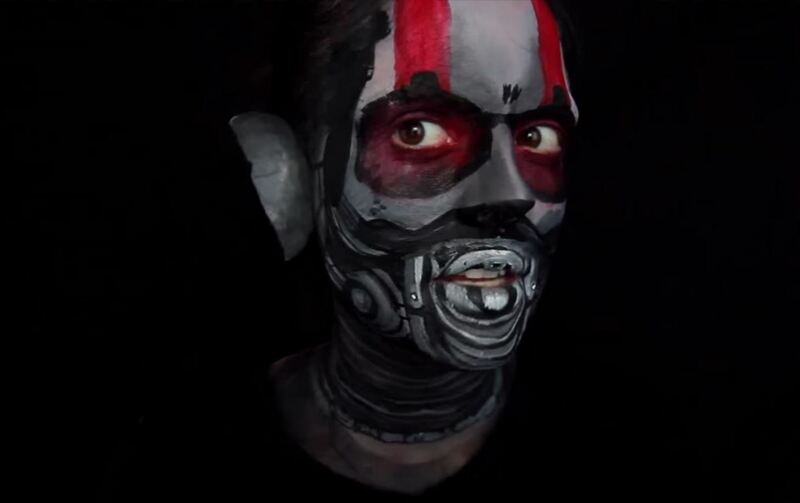 Continue to fill in the below-nose, chin, sides of face, and other lined details accordingly. 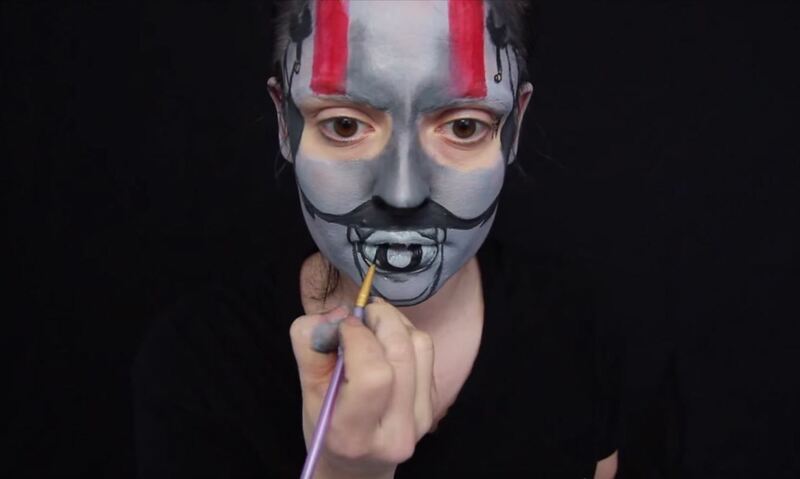 To enhance the mouth, fill in the grey areas with a very light, close to white, shade of grey. 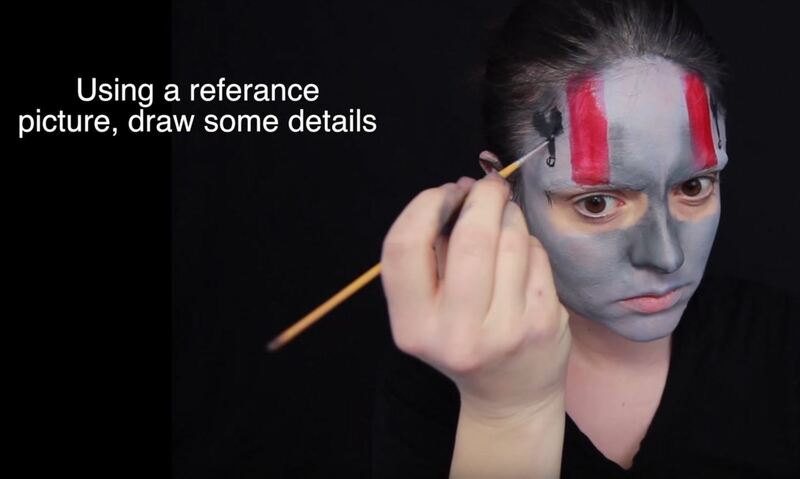 For your ears, you'll need some spirit gum and some cotton to apply the sides of the helmet. 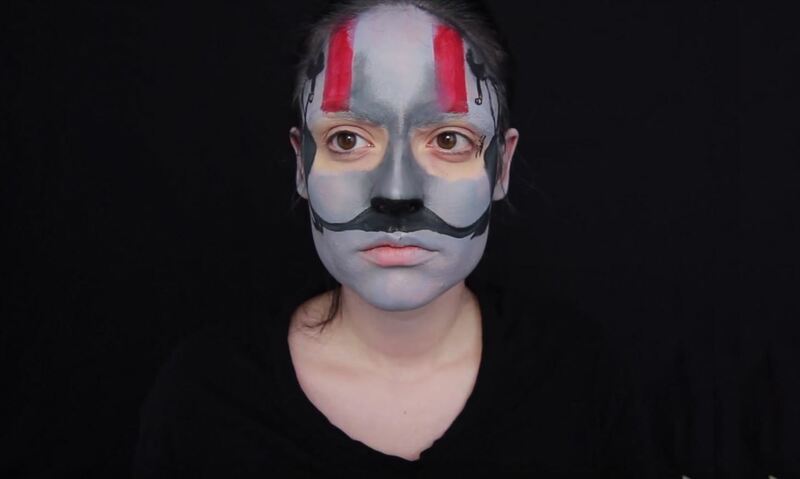 Whether you get as detail-oriented as the recreation created on SmashinBeauty's face, or stick with a less delineated version, your own unique Ant-Man mask can be created out of nothing more than faceprint—so go ahead, get creative!